Innovations in deal sourcing are increasingly important for PE firms looking to sidestep intense competition. Circumventing crowded, competitive auctions is one of the first key steps to take, and one of the primary benefits derived from developing a sector investment thesis. 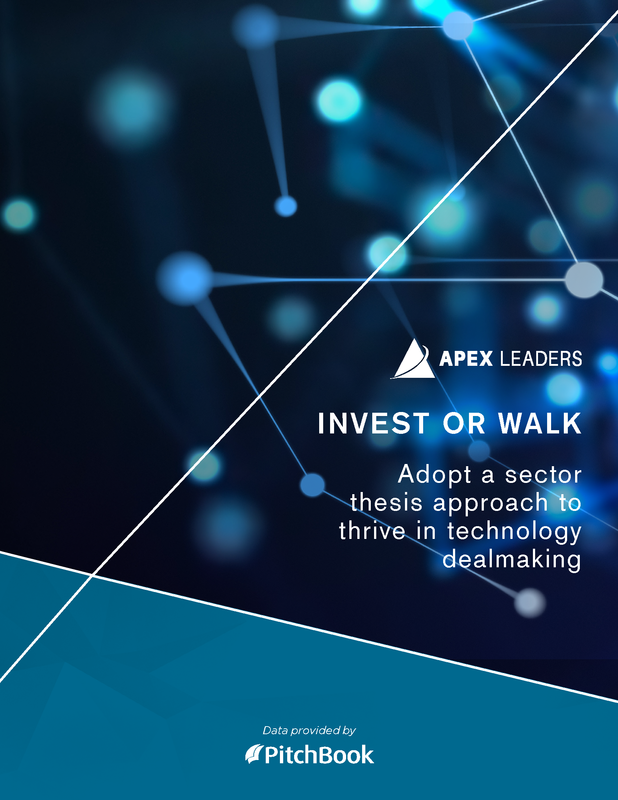 Apex Leaders has scrutinized the actions of top players in the current environment and produced a brief summary of how PE firms can best navigate to attractive opportunities—in short, get to yes or no faster when it comes to investing. Click here to read the full brief.